Amy S. Beattie | Attorneys | Brick Gentry, P.C. Amy Beattie is a shareholder of Brick Gentry P.C. She has more than 25 years of experience working in municipal law, including serving as legal advisor to city councils and city staff regarding development, legislative and operational issues. 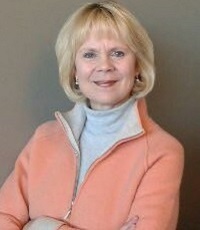 Amy has been an integral part of many of Iowa’s most progressive city developments. Among them, the Ankeny, Iowa Prairie Trail project, a first of its kind from both an environmental standpoint and in the way partnerships were leveraged to bring the project to fruition. Amy has been a part of the Brick Gentry team for more than 20 years. Before this, she worked in the real estate department of the Shell Oil Company as an attorney and legal advisor. Amy enjoys serving the community and likes to give back by working with the Des Moines Symphony Academy and the Des Moines Catholic schools. Selected for inclusion in The Best Lawyers in America® for 2015 (© 2014 Woodward/White) as among the elite in Real Estate Law.